The people of Delhi cast their vote today in the 2014 General Elections. Once the process of voting is through and results are announced in May 2014 India will have a new government. I hope Delhi voted for a change and for a better India. 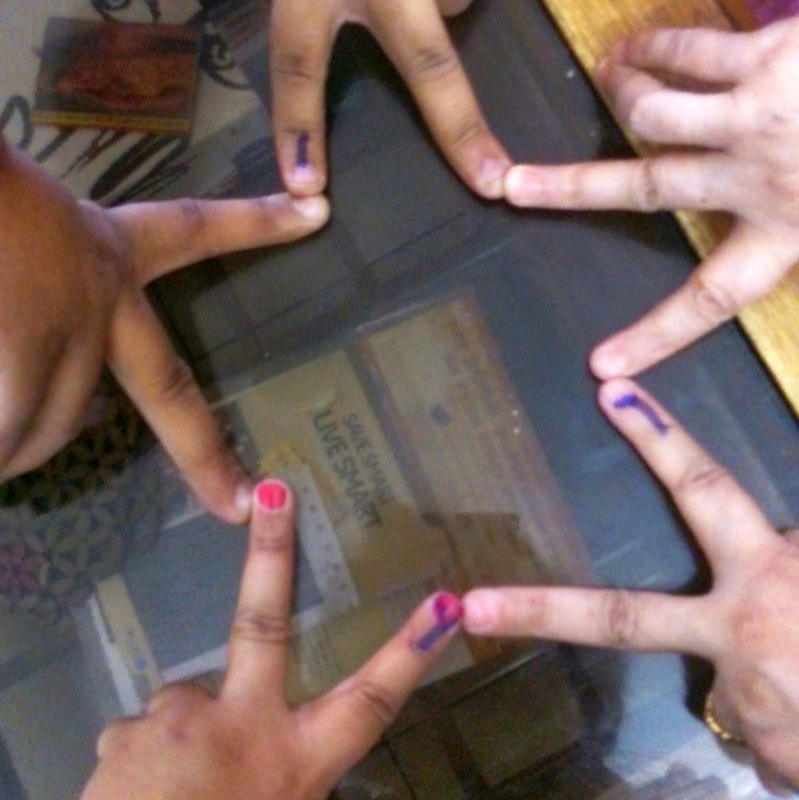 Here is a photograph of the hands of my family members after we cast our votes. In the evening my mom and I went for a drive. 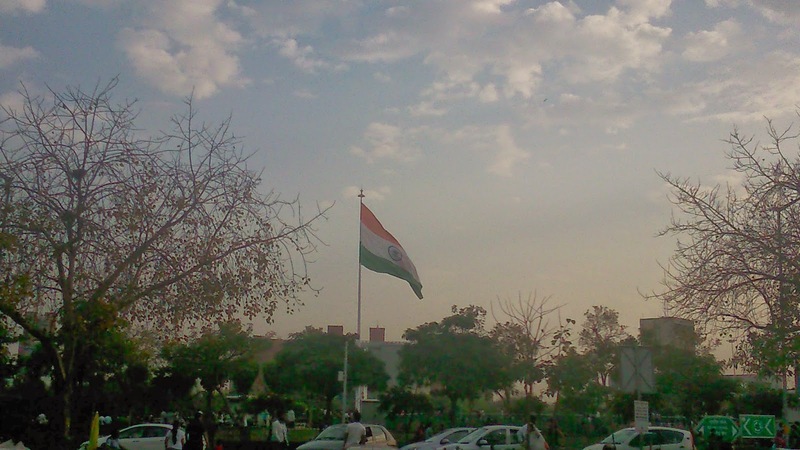 I saw the Indian flag, a symbol of the country and the government, flutter proudly in the Central Park in Connaught Place. 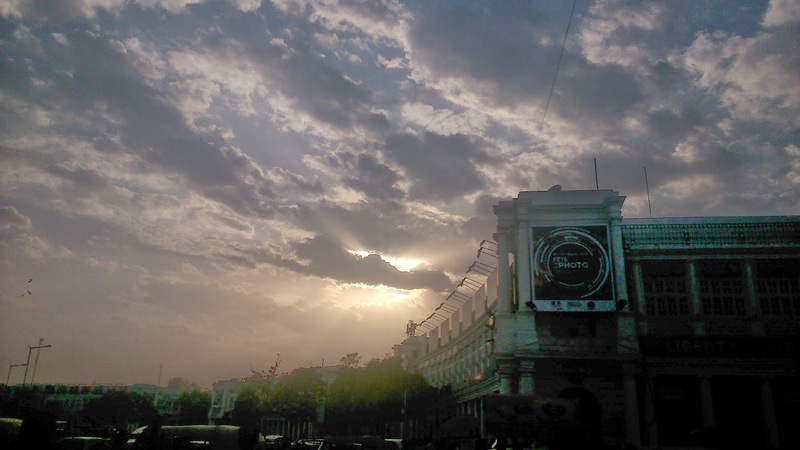 The dramatic evening sky encouraged me to click some more!